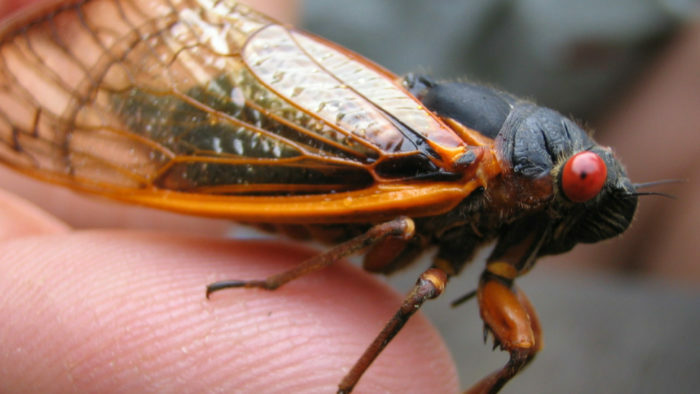 After a 17-year dormancy period, the U.S. East Coast is about to be overrun by billions of cicadas. Yes you read correctly: BILLIONS. 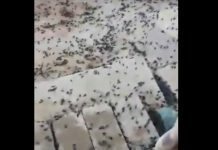 A conservative – we repeat: conservative – estimate touted by several experts puts the ratio of cicadas to humans in the region of North Carolina to Connecticut at 600 to 1. That’s 30 billion cicadas to the area’s 50.6-million people. It is also (we repeat a third time) the lower estimate. SO this year’s invasion, Brood II, is one of the bigger ones. 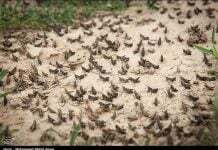 Some even believe it may be more like 1 trillion cicadas. Your best bet: Keep your mouths closed in the days ahead. 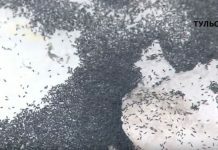 This preview for a documentary-in-the-making will show you what to expect — including a remarkable time-lapse of cicadas breaking through their exoskeletons. The film itself is called ‘Return of the Cicadas’ by Samuel Orr chronicles every aspect of the insect’s unique 17-year lifecycle. You can help him finishing his movie by giving money (Kickstarter campaign).